The perfect toy for Halloween is here. 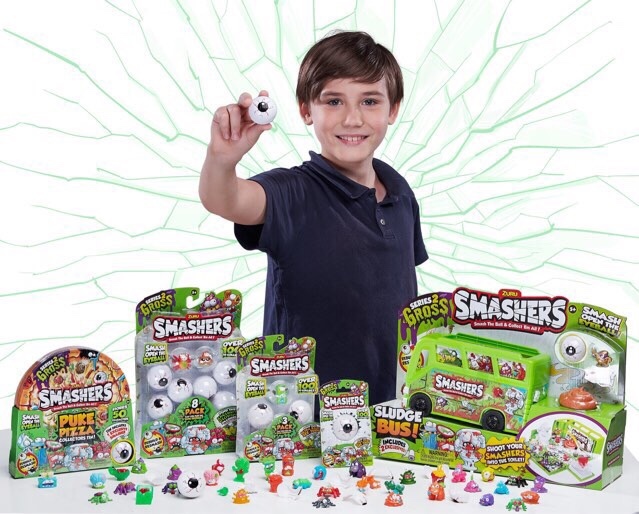 Bob has had so much fun reviewing the new Zuru Smashers SERIES 2. She loves blind bags and all of the little toys that come in them. We have had many different types of these in the past but none of them have been as fun to open as these. 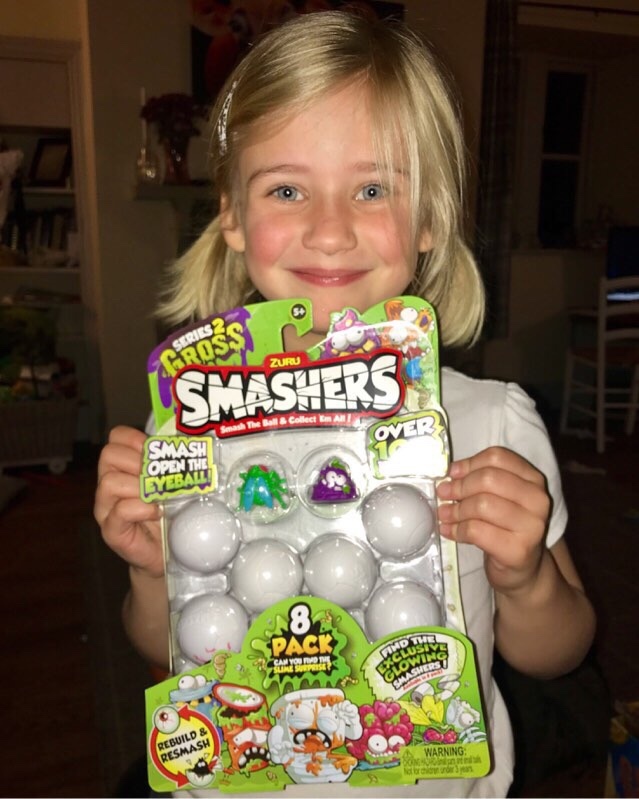 To open the Smashers you have to literally smash them. You throw the eyeballs and when they hit the floor they smash open. They can be rebuilt so you can smash them over and over again but this is quite tricky. I managed to rebuild them but Bob couldn’t do it. She much preferred the smashing part anyway so this wasn’t a problem. 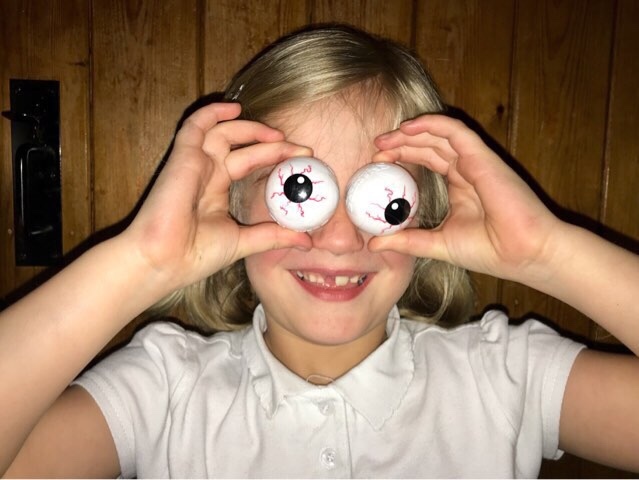 Inside the eyeballs are little monsters that you can collect. 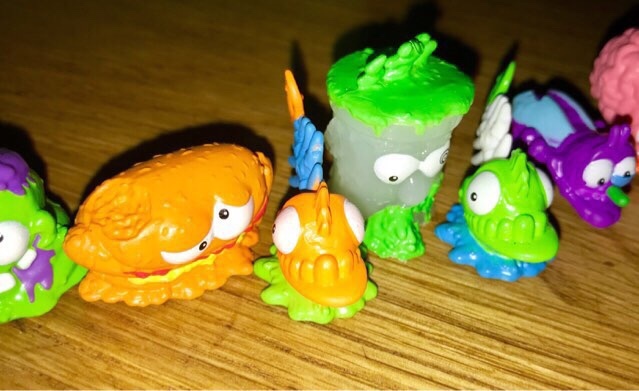 We even got a limited edition slime monster. He was in a blind bag inside the eyeball and Bob was intrigued. When she opened the bag she shrieked with delight. The Smasher was covered in slime! We were also sent some Zuru slime and funky foam. Bob loved these! 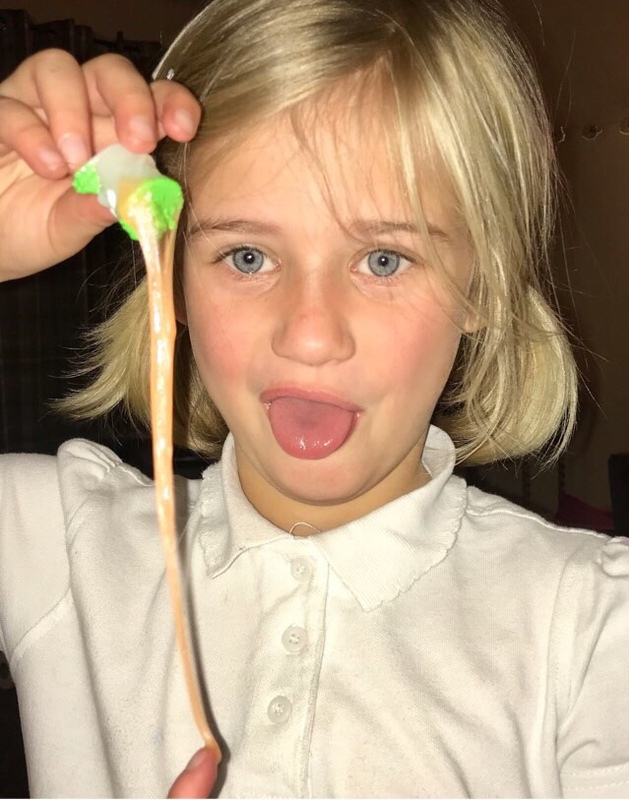 She is obsessed with slime as I think most children are. This slime even had added maggots to make it even more. SMASHERS Series 2 are suitable for ages 5+ and they are available nationwide. I like that there are more horror films on tv. picking and carving the pumpkin the kids have grown! The sweets! And making a costume with the kids is always fun as well. Carving some pumpkins, decorating the house and watching scary movies! Making Halloween crafts and decorations with my children. It’s a fun time of the year. Making Halloween crafts and having fun with the kids dressing up! We love dressing up and going trick or treating. We love dressing up and a party, especially baking for the occasion with my children. We love dressing up, decorating our home and going out to Halloween events. We have 4 planned at half term, ending with our family Halloween bash where my son goes trick or treating with his cousins. Pumpkin carving and hot chocolate and vegetable soup! Apple bobbing with the little ones. Can be very messy, but gets lots of laughs. I can take the mother in law out in day light. I love the effort that children and parents go to with their lovely costumes. I love the dark nights and preparation for Halloween, Carving the pumpkin is lots of fun and the dressing up too. Watching lots of different scary horror movies in the dark! I love watching the children have fun when they get dressed up to go trick or treating. dressing up and looking at all the spooky stuff in the shops. I love watching my kids dressing up and getting excited about it. Dressing up in scary costumes is always fun. I love an excuse to watch scary movies! we enjoy playing tricks on the trick or treaters as we have the ring doorbell so can speak & see the people at the door & we have lots of fun. Going trick or treating is my children’s highlight. love sitting with a movie after trick or treating with a nice warm drink and all our booty!! Pumpkin carving and costume making is top of our list. I like picking up all the cheap pumpkins and making loads of soup! We love pumpkin carving, although we end up with the most basic designs every year! We have a Halloween themed tea party, whilst watching Ghostbusters. All dressed up in their costumes, the kids love it. Love getting all dressed up and having lots of halloween fun! I love watching the excitement of the children as they prepare for the evening of trick or treating and seeing how thrilled they are with all their treats afterwards! Visiting our local Pumpkin Patch. Dressing up, carving a pumpkin and answering the door to lots of little monsters! We love decorating the front garden and welcoming all the little Trick or Treaters! We love dressing up and having a family bbq followed by some trick or treating. Making the kids costumers, always great fun! I love dressing up & doing face paint! We have a witches and wizards party with a bonfire and cauldron for spell casting!!! I love seeing all of the creative costumes that people wear at Halloween. I like watching scary movies, the kids love trick or treating. I most love the trick or treating! Dressing up and having fun! I love decorating the house and making it look really spooky. Seeing all the costumes! My girls went quite neutral but some of the costumes and face paint are amazing! Decoration the house & garden so it look super spooky! I enjoy answering the door with sweets and pretending to be scared. I love the effort my girls go to make the house look spooky! I like to see all the kids dressed up! Definitely carving pumpkins and putting decorations up with my children. I love decorating the house and the spooky feel in the air. 8 Ways to Improve Your Sleep, Eve Advice What Types of Fostering Placements are there?